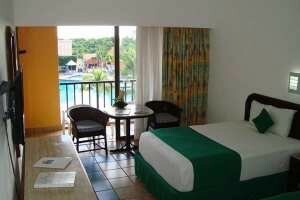 Dive the beautiful blue waters of Cozumel, Mexico during our week stay at the ALL-INCLUSIVE Hotel Cozumel. Water temperatures are usually in the high 70’s - low 80’s. 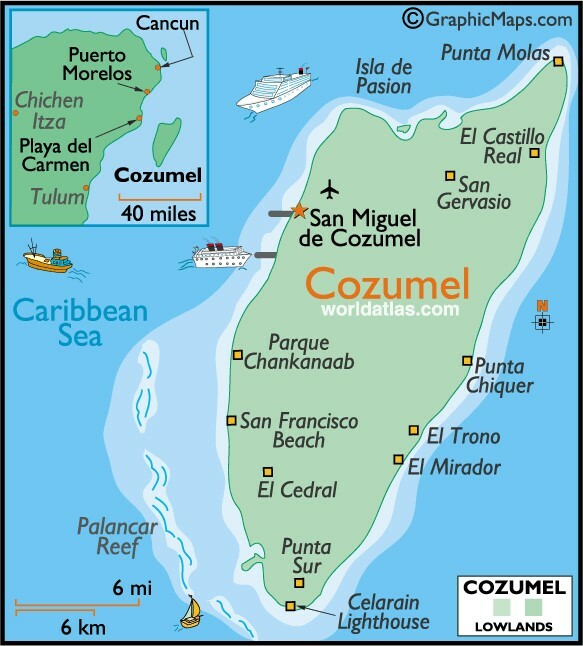 Airfare from Ft. Lauderdale to Cozumel is included. Enjoy 7 nights in standard pool view accommodations. All meals, snacks, soft drinks and domestic alcoholic beverages are provided. We will be diving with Dive Paradise. Their professional, enthusiastic staff helps Dive Paradise maintain its enviable safety record among the island’s major operators. In addition, all of the Divemasters and boat captains have been certified in First Aid, CPR, Rescue and Oxygen administration. We will enjoy 5 days of 2-tank morning dives, 3 days of 1-tank afternoon dives, 1 night dive and unlimited shore diving. The dive shop provides private gear lockers. Nitrox is available for $10.00 per tank (not included). 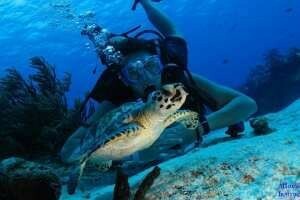 When it comes to scuba diving in Cozumel, there's simply nothing like it in the world. This easy drift diving mecca boasts some of the best coral reefs around. Fish are abundant and colorful, with so many different species. 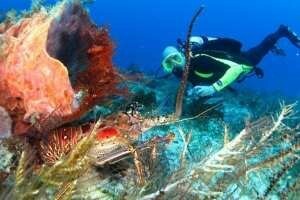 The coral and sponges are plentiful and hide hidden treasure in the form of micro organisms, like shrimp. Look for the Splendid Toadfish, entirely endemic to Cozumel, a truly wonderful sight to see.